"Planet of the Apes is a groundbreaking slot title coming from the NetEnt creative kitchen that uses dual reels and comes packed with multiple bonus features." War for the Planet of the Apes is the 2017 instalment of the franchise consisting of two movies, Rise of the Planet of the Apes and Dawn of the Planet of the Apes released in 2011 and 2014 respectively. In summer 2017, NetEnt came up with their take on the SF story featuring the Ape Army led by the chimpanzee Caesar. The branded game, developed in association with the 20th Century Fox, is a unique release featuring two reel sets which are fully inspired by the two first instalments and titled accordingly Rise and Dawn. The reels feature symbols portrayed as movie characters and apes which are realistically drawn and accompanied with smooth animations and a cinematic soundtrack. 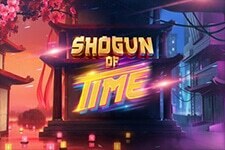 The bonus features are designed to match the theme of the game and provide you with a thrilling gaming experience while boosting your winning chances. On the reels you will meet the cast from the two movies while the chimpanzee Caesar assumes the role of Scatter on both reel sets to provide you with free games. 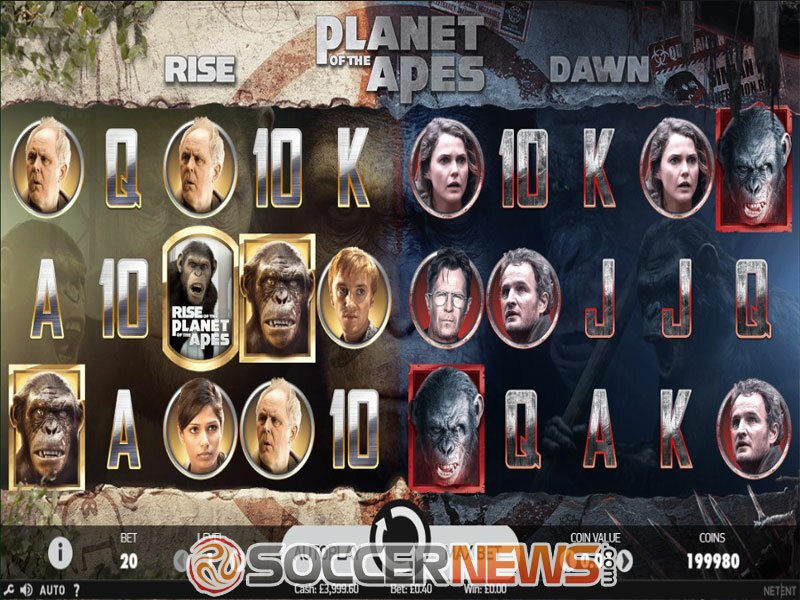 The Planet of the Apes slot uses two 5x3 grids with 20 fixed paylines each. You will have a double chance of winning at a bet ranging between $0.20 and $200 per spin. Choose a preferred number of coins going up to 10 and a coin size varying between $0.01 and $1 and you are good to go. To win a prize you will have to align at least 3 matching symbols along a paying line starting from the leftmost position. Human and ape symbols award high-value payouts while playing card icons make up the lower parts of the paytable. Wild is represented as the window of the room in which Caesar grew up and it will replace all regular symbols to complete your winning combinations. As we have previously mentioned, Caesar, the leader of the Ape Army, stands for Scatters that trigger the free spins feature. 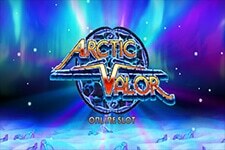 Land 3 or more Rise Scatter symbols and you will trigger the Rise Free Spins feature awarding 10 free games with Wilds collected in the Wild meter. On the last free turn, all Wilds will be randomly placed on the grid. Landing 3 or more Dawn Scatters results in 15 Dawn Free Spins during which you should collect 3 different symbols to activate the Multiplier, Extra Wild and Extra Free Spins meter. 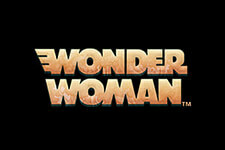 You can win 3 extra free spins, up to 5x multipliers and a human symbol transformed into Wild. By landing 3 or more Scatters on both grids you will trigger the Multiple Free Spins feature with both Rise and Dawn Free Spins taking place successively. The game is also home to Rise and Dawn Bonus symbols which trigger Rise and Dawn Bonus features when they appear on the first reel or the last reel of the corresponding reel set. 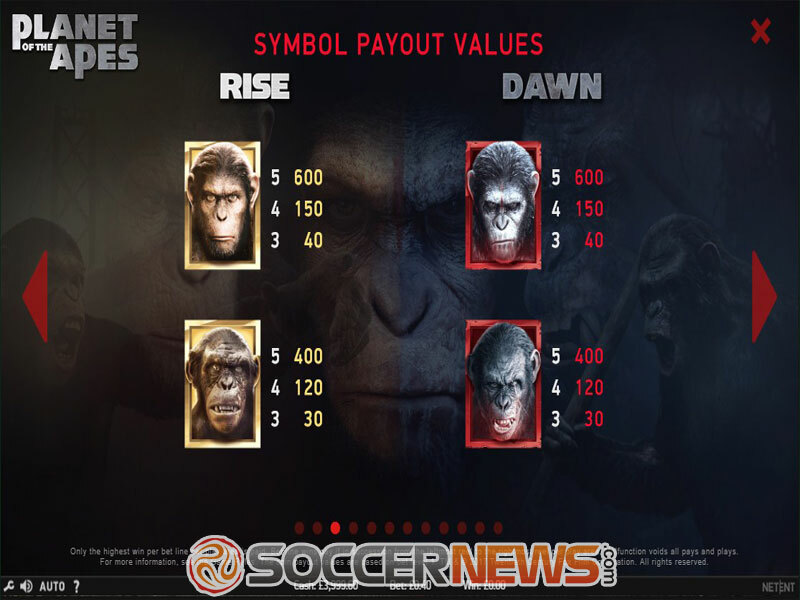 During the Rise Bonus feature, every human and ape symbol appearing on the screen will earn you a cash prize. The Dawn Bonus feature turns ape and human symbols into a randomly chosen symbol. You can also trigger the Dual feature at random and benefit from a symbol that will stick to its position if it appears on the correct play area or get transferred to the correct play area if it lands on other reel set. You will get re-spins as long as at least one new symbol lands on its own play area. At any point of the game you can trigger the Stacked Wild feature when the first reel of the Rise play area is fully covered with Wilds. 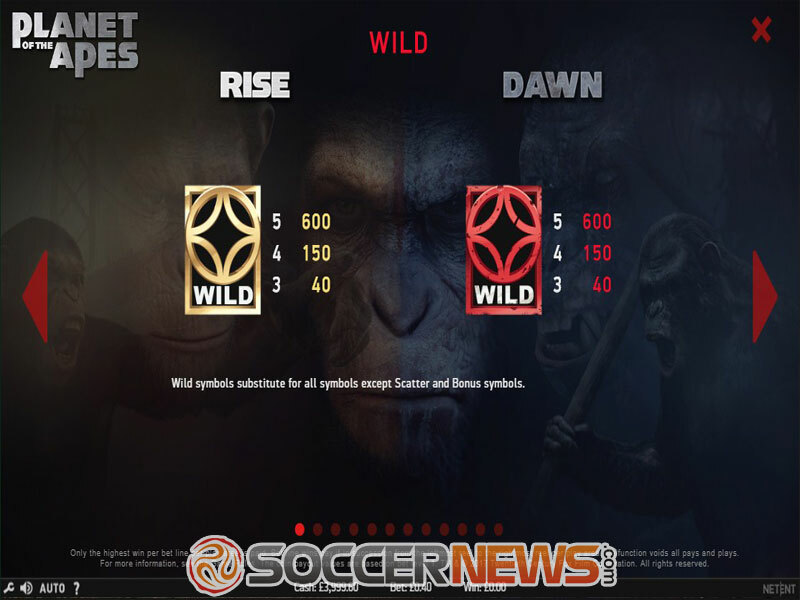 Wilds will be cloned to the same position on the Dawn play area to enhance your winning chances more. 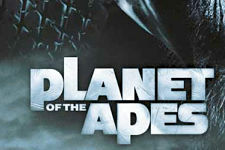 Find Planet of the Apes at any of NetEnt-powered casinos. 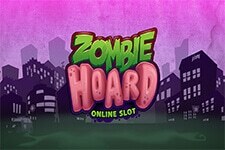 Win up to 240,000 coins in a single spin. "Packed with bonus features, Planet of the Apes will provide you with adrenaline-fuelled action and a rewarding gaming experience. 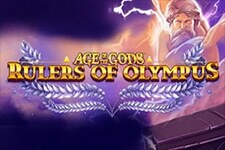 You will be mesmerised with the game from the moment you launch it due to its structure and mechanics, so join the Ape Army and mighty Caesar to rake some hefty payouts. 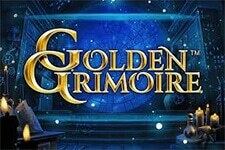 If you are lucky enough you can win up to 240,000 coins in a single spin.""